The second amazing volume (of three), compiled by Mark Cunningham after culling every known live tape of Mars, documents the band in its first fully-matured form. 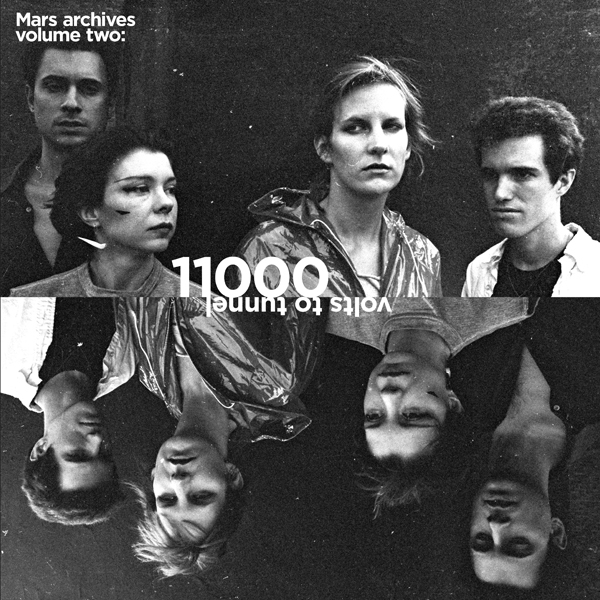 Recorded at CBGB and Max’s in the early months of 1978, this captures the sound of Mars around the time their first single, “3E/11000 Volts,” was released by the French Rebel label (a precursor of ZE). They’re still playing their early songs, and working out the material that would be on No New York. Two of the tracks (“Cairo” and “RTMT”) were never released in any form back in the day, and the whole album surges along like one of the weirdest rock rides anybody has ever imagined. There are still small tendrils of the more formal approach Mars took in their earliest days, but the function of the material is on its way to becoming utterly alien. Even though I saw the band around this time, the incredible strangeness of their approach is astonishing. Words fail me. No one else has ever created anything quite like the wall of sound they managed. On the second side, as an added bonus, the audience source tape is full of hooting and hollering by people like Lydia Lunch, Bradley Field, Kristian Hoffman, and various other reprobates with whom they were sharing rehearsal space at the time. Package looks great, too. Grainy, just the way it should be. Has an insert with brief notes by Mark, a couple of pics and handwritten lyrics that read better than I’d ever imagined them to be.